Interests Cars (obviously), art, cooking, Xbox. I play Lara Croft, Destiny, Halo, and Division. Ask me for my gamertag if you play. I made some 2002 Christmas Cards!! Awesome! Thank you! I just mailed it off to you. Thanks! It was shipped out to you today! Hope you love them! Thanks! Yeah, I once shrink-wrapped my tree so I wouldn't get pine needles inside the car. Didn't want the tree to scratch the paint either! 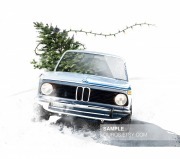 So, I made some 2002 Christmas cards this year! I did the artwork myself, and since my friends have been telling me to sell them for years, I figured I'd finally give it a try, to make some extra cash. I started an Etsy shop to sell them, check it out: Ouros.etsy.com I wasn't sure where to list this, since it isn't a 'part' to sell. I apologize in advance if I posted in the wrong spot. Happy Holidays! Hey Everyone! Check out the 2002 Christmas card I made this year! I did the artwork myself, and since my friends have been telling me to sell them for years, I figured I'd finally give it a try, to make some extra cash. I have a newborn, and diapers are expensive, LOL I started an Etsy shop to sell them, check it out: Ouros.etsy.com I wasn't sure where to list this, since it isn't a 'part' to sell. I apologize in advance if I posted in the wrong spot. Happy Holidays! I can't find the address for the Aria shop in Camarillo - it might just be a shop and not a storefront, unlisted to the public. But we do also use MetalCrafters - they're in Fountain Valley, and also do fantastic work on our showcars. Don't let the name fool you - they do both fabrication and paint. I'll have to find the address. They're a few streets down from the Volvo design studio....but it looks like they're not listed on google maps. I'll find it and get back to you. Aria Group is a fabrication and paint shop in Camarillo, CA. I work in the auto industry as a designer, and this is a company we use to make our concept cars for auto shows. They do a really stellar job on surface work and paint - but not sure on the cost. Worth looking into though. ya, I figured I'd have to re-dye, wasn't worried about that. Just didnt want to melt or damage the plastic vinyl of the seats. I already tried regular scissors, they wouldn't cut through. Bought a hot-knife today, will update if that works. Thanks for all the help! I'm working on the interior, and have run into two snags: 1. My new carpet is molded-to-fit, and fits great, but still needs some trimming and hole-cutting for screws and such. I've tried using a box-cutter and scissors, but neither seem to cut through the carpet fabric and plastic very well. I was thinking of trying a hot-knife. Any suggestions? 2. After vinyl-dyeing my seats, some un-cured epoxy spilled on them. It's been about 9 months, and the epoxy is still sticky. What can I use to remove it, without damaging the plastic of the seat too much? Thanks! Seeking advice regarding roof rust. An orbital sander might take off more than you need to if you intend to get all the rust out. I'd start with an orbital, but once you get to the point where there's the little ditches (if the rust is that bad), I'd suggest going in with a light dremel sander. You'll also want something between the bare-metal and the primer. Fill the areas you've sanded away with bondo, let sure, then hand-sand away. Also, I'd recommend against rattle-can primer. Even if you use High-build, it's not the same. You can get a spray gun from Harbor Freight really cheap, and use catalyzed primer - which is much stronger, and will produce a more even body at the end. You'll want to do a few coats, and wet-sand with a spline for smooth surfaces. Doing bondo and proper primer will ensure that the rust doesn't just come back. Otherwise, it's just a waste of time and effort, right? You can check out this process on my blog if you want.